VOID VASE | 2013 | This design started as an exploration of form and space that would diverge from the typical vase geometry. 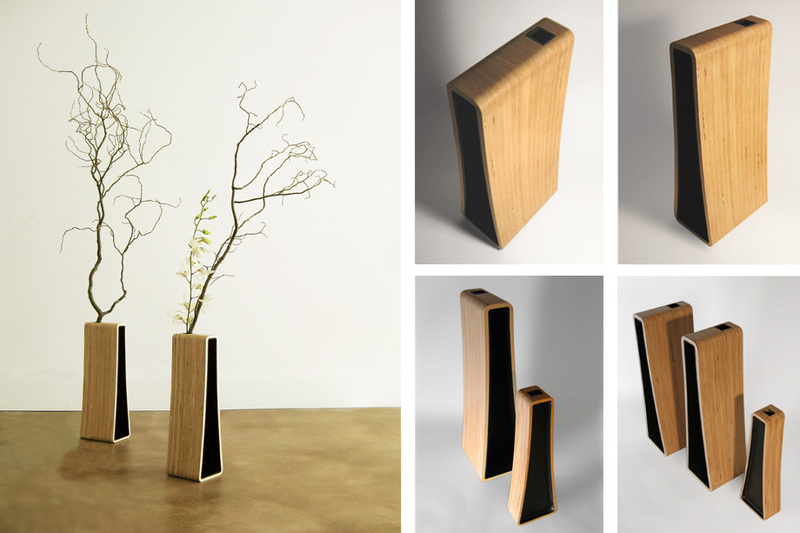 Originally conceived as a dual functioning vase, it has evolved into an ethereal form that merges disparate materials to create the illusion of an infinite void. 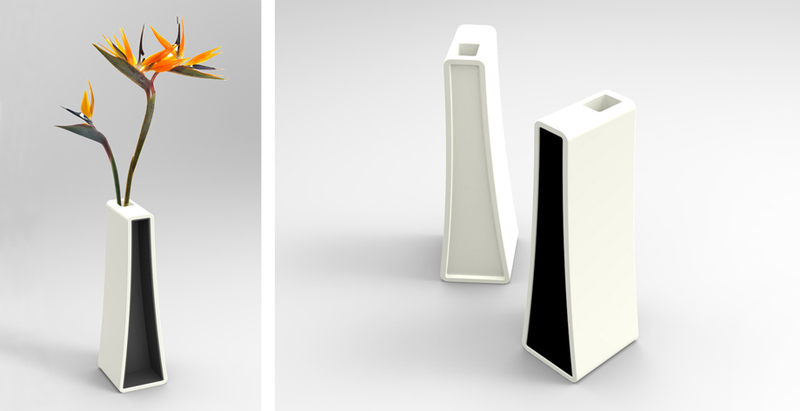 Constructed of molded plastic with a felt insert, this vase holds large cut flowers, or interesting organic finds. 16.5H x 4.75W x 5.625D"
An early stage of prototype exploration, using birch plywood to explore size and proportion.